Traditional Indian gastronomy has something to tickle any taste buds. 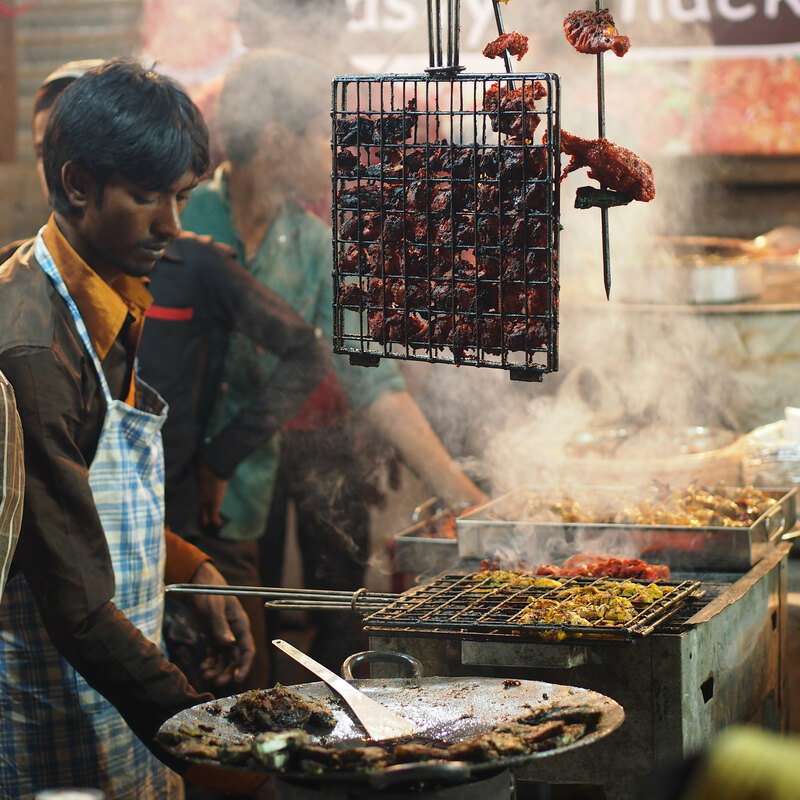 For a true insight into how Indians enjoy food, head into the lively streets. As a city with over 10 million residents, plenty of tasty street food can be found in Bangalore. 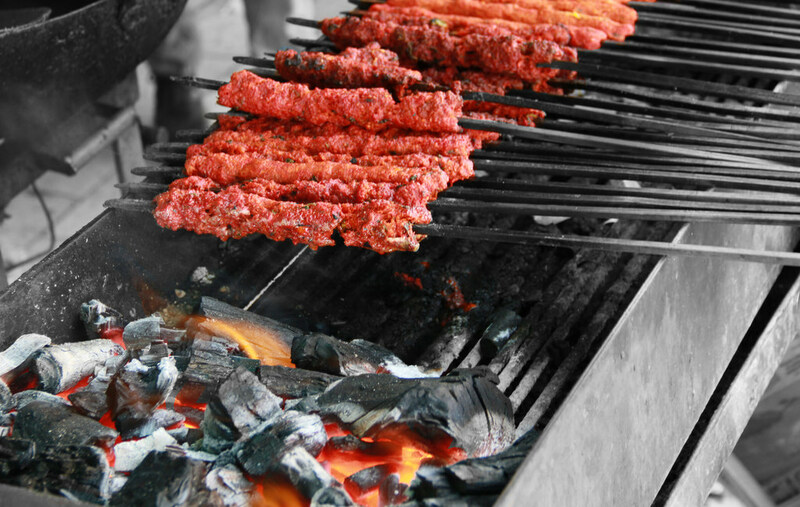 Here’s our guide to the best street food in the southern Indian city. Thindi Beedi (Food Street) is synonymous with Bangalore street food. The lively stretch of Thindi Beedi at V. V. Puram, an old area in the heart of Bangalore, houses an array of street food joints offering everything from masala dosas to holiges. Apart from the variety of north and south Indian food here, the area is cheap. The annual Avarekalu Mela (hyacith beans fair) at Thindi Beedi during winter is also a must-visit. The tempting aromas from Mosque Road beckon non-vegetarians from across Bangalore, especially during the holy month of Ramadan. Stalls along the footpaths offer biriyanis, sheekh kebabs, haleem and so on, at affordable prices. Evening is the time to visit. Very few places come close to matching the fast food specialization of Sri Sairam’s. Apart from popular pani puri and dahi puri, Sri Sairam’s menu includes offbeat items such as wafer chat and disco chat. Sri Sairam’s Chats and Juices is highly recommended by foodies with a chat penchant. Similar to Mosque Road, Shivajinagar is an extensive area at the heart of the city that’s popular with non-vegetarians. Pair a kebab or other meaty dish with a limey sulaimani tea – a delicious spiced tea without the milk. The crispy vadas and appetizing idlis at Brahmin’s Coffee Bar are second to none. Located in the old-fashioned Basavangudi area, Brahmin’s Coffee Bar offers casual eating that won’t disappoint. Although the menu is small, the quality of those items available make up for the fact. Khan Saheb Grills and Rolls is popular because of its large selection of rolls. The chicken sheekh roll, chicken tikka roll and beda roti come especially highly recommended at this tiny but commendable food joint. The menu comprises both vegetarian and non-vegetarian bites that are decent value for money. The Johnson Market, in the Richmond Town area, is the place to find sizzling samosas and luscious shawarmas at pocket-friendly prices. The area isn’t too big and overwhelming, but has a satisfying range that will leave diners content. The finger-licking chocolate sandwich at Hari’s Super Sandwich, in bustling Jayanagar, keep it busy round the clock. For a savory snack instead, the cheese sandwich, potato twister and corn sandwich are popular choices. The prices are good, too. The rolls and shawarmas at this Middle Eastern fast food joint are hearty and delicious. The chicken kudu and jumbo chicken roll also leave a lasting impression. Foodies swarm to Al Amanah Cafe in the evenings to feast on some mouth-watering delicacies. Central Tiffin Room (CTR) in Malleshwaram has a great reputation for its masala dosas. Not only is CTR one of the oldest south Indian eateries in Bangalore, it consistently lives up to customers’ expectations. Be sure to try their idli-vada, kesaribath and poori sagu.